This project is dedicated to providing free teaching materials for secondary school teachers. It builds upon the highly successful major research project, Why We Post (UCL) which focuses on the uses and consequences of social media. It specifically aims to engage teachers and students using a range of fun and relevant contemporary social research activities. The activities are designed to support the knowledge and skills required for the DSE Liberal Studies (Hong Kong) and OCR A Level Sociology (UK) courses in interesting new ways by producing teaching resources tailored to the curricula. These resources come with a teacher pack and are designed by experienced teachers. In particular these activities seek to address the gap between learning about social research through textbooks, notes and teacher led pedagogy rather than learning about real research experience first-hand. 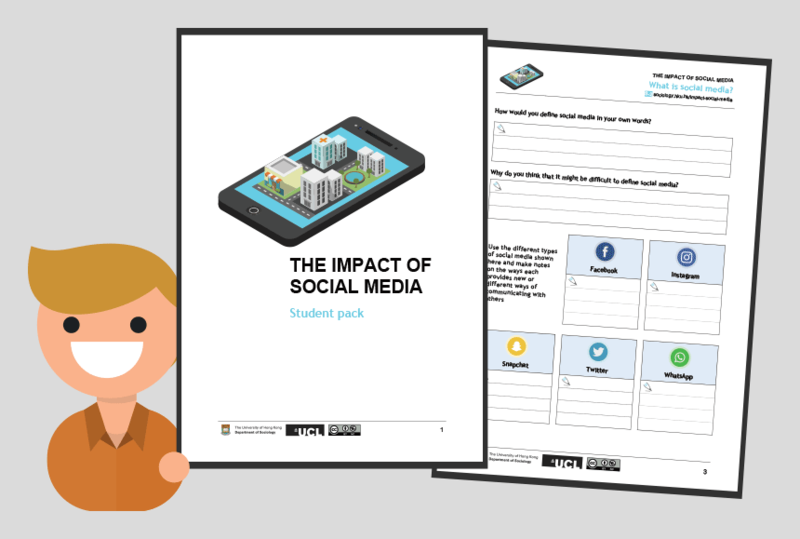 This project also draws on the topic of social media which is both highly topical and relevant to students own lives and is therefore accessible and familiar. The research based activities culminate in a knowledge exchange between students based in Hong Kong and the UK. Furthermore, the project furnishes students with the skills to think reflectively about their own use of social media in a global context. Finally it provides students with opportunities for learning how to be autonomous learners and develop the kinds of skills which are undoubtedly useful for employment and university as well as developing effective interpersonal skills. Our materials can be downloaded free of charge. Are you a teacher who is using, or thinking about using) our teaching materials in your classroom? We're regularly adding new resources, so please sign up below to be kept up to date on our project! Which set of curriculum materials are you interested in teaching? Please indicate the number of students in your class. We would love to keep you updated with this project as we develop and improve the resources on offer. Please tick the below box if you are happy to receive occasional emails from us. We promise not to send you lots of messages, or to give your email to anybody else. Follow Why We Post on Facebook or Twitter to receive updates on the project. For further enquiries please contact Dr Tom McDonald (mcdonald@hku.hk).